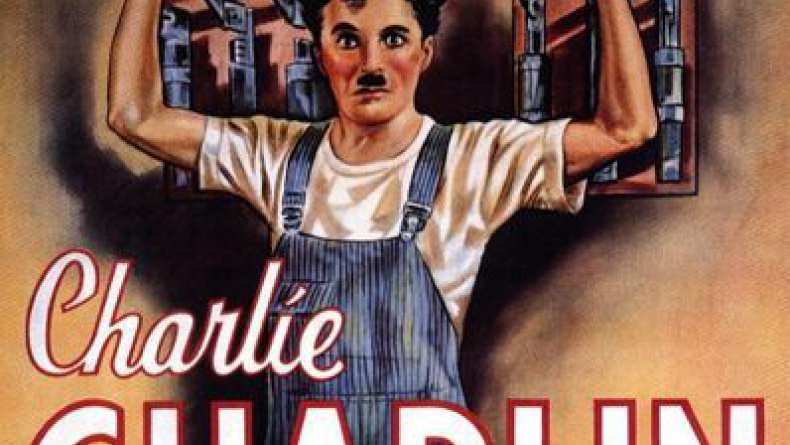 This is Charlie Chaplin's last 'silent' film. Charlie turns against modern society (especially the use of sound in films). Charlie is trying to keep up with a production line and tightening bolts. He is selected for an experiment with an automatic feeding machine, but various mishaps leads his boss to believe he has gone mad, and Charlie is sent to a mental hospital.